There was such a dearth of reportage about this year's Eleanor Farjeon Award which was held on the 17th of November that I thought I would make a bit of noise about it. For those of you who have not been paying attention - this is the award generously sponsored by the estate of Eleanor Farjeon (pictured right) given for distinguished service to the world of children's books. Authors have won it ...notably Philip Pullman, Jacquelyn Wilson, Malorie Blackman, Michael Rosen, Shirley Hughes - all individuals easily referred to as 'National Treasure'. Other winners are more obscure - librarians, literacy campaigners, people who are passionate about reading. But national treasures, nonetheless. Indeed, this year's winner is Moira Arthur who spent 31 years in library supply, specialising in children's books (Had to nick this photo of Moira with Jacquelyn Wilson from the Peter's website, my photos at the awards weren't good enough to put up!). Please make sure to read about Moira and other nominees at the end of this post. These people are the heartbeat of children's literacy - and people like us, who want to write for children, should give credit where credit is due. David: "Non-readers form a very good anti-literacy rump, an anti-intellectual rump in our own society. If you come out of school and say 'I don't like books', you then VOTE against books. And you don't think libraries have any point whatsoever. 'We hate books' turns into 'What's the point?'" We can only wait and see if any publishers care to take the idea and run with it. Moira Arthur has spent 31 years in library supply – specialising in children’s books. She has been instrumental in developing Peters into the largest children’s library supplier in the UK. Her extensive knowledge of children’s books and libraries allowed her to develop the highly successful Romread, Peters Bookselling Services’ book review and order service on CD-Rom. In 2005 Romread was superseded by PetraNet and this gave customers, worldwide, access to the full range of children’s stockholding via the web. 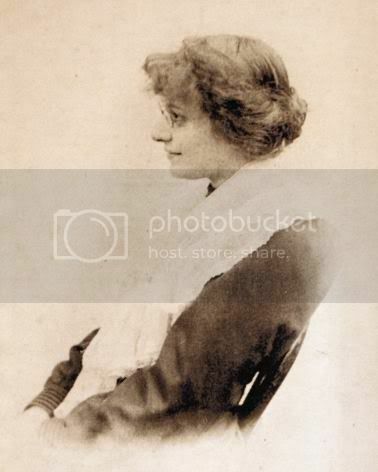 IBBY’s founder, Jella Lepman, believed that books could build bridges of understanding and peace between people. Because of this strongly held belief, she created IBBY as an international organization that would bring children together by means of books. Fifty-six years later IBBY has seventy-two national sections that still work towards building bridges of understanding. The wars are still raging and children are still the victims. IBBY believe that every child has the right to become a reader and see this as a fundamental right and the doorway to empowerment for every child. As an organization IBBY believe that children who are suffering from natural disaster, displacement, war and its aftermath, desperately need books and stories as well as food, shelter, clothing and medicines. IBBY's programme of workshops and children in crisis projects around the world all work towards this goal. Anne Marley’s day job is Head of the Children’s, Youth and Schools Library Service in Hampshire. 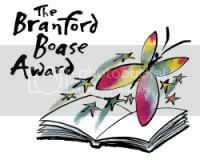 She also manages the Branford Boase Award (set up with Julia Eccleshare) for first time writers and the Henrietta Branford Writing competition for young people, now in its 10th anniversary year. In addition, she organises the Wessex Children’s Book Festival. Her love of Children’s literature has seen her act as chair of several societies and groups including the Children's Book Circle, the Youth Libraries Group and CILIP Carnegie and Kate Greenaway Awards. Her wonderful work extends overseas also. In 2002, she was involved in persuading P & O Cruises to freight out 4,000 new children’s books to St Lucia and raising £6,000 for the libraries to spend on new books. She has also visited Kazakhstan and Trinidad and Tobago, working for the British Council, trying to improve the provision of books and school libraries in those countries. seminars for London Bookfair each Spring and runs a course at Bath Spa University sponsored by NAWE for authors on running events for children and working in schools. John McLay is an international literary scout for children’s and young adult books, working with some of the biggest children’s publishers throughout the world advising them on the best books to acquire and translate. He began his career at the BBC in London and after several years as a bookseller for Waterstone’s, he joined Puffin Books where he edited Puffin Post magazine for the Puffin Book Club. He then became an editor at children’s book packager Working Partners and helped launch series as Animal Ark, Rainbow Magic andPuppy Patrol. 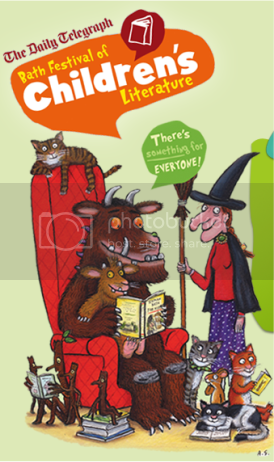 He set up the non-profit making Bath Festival of Children’s Literature in 2007 with his wife, Gill. The largest independent book festival dedicated solely to children’s books, the 10-day ‘The Bath Kids Lit Fest’ has just completed a record-breaking third year and has quickly become established in the children’s publishing calendar. John is also an anthologist, reviewer and lecturer on ‘Contemporary Children’s Publishing’ at Bath Spa University on their MA in Writing For Young People. 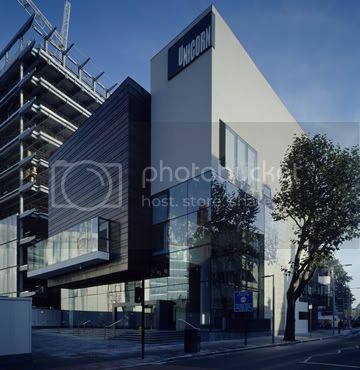 The Unicorn Theatre is the national flagship theatre for children and young people in the UK. It is the only purpose-built theatre for young people in the capital. In addition to the theatre’s own award-winning plays, they present the best regional, national and international theatre for young audiences. Integral to their programme is a multi-layered participatory, education and youth programme. All their work emphasises the vital role that theatre and the arts play in enriching children’s learning. Opened in December 2005, the Unicorn warmly welcomes families and schools to their two theatres, education studio, rehearsal studio and café. A permanent acting ensemble is at the heart of both their stage and audience outreach work. The oldest professional theatre for children in the UK, the Unicorn was founded in 1947 by Caryl Jenner whose unique vision inspire the building of this flagship theatre. The Reading Agency is an independent charity with a mission to inspire more people to read more. They believe that reading changes lives, and that everyone should have an equal chance to become a reader. They specialise in spreading reading by working with public libraries, and run some big national reading programmes and partnerships. For children and young people these include the huge Summer Reading Challenge (involving 690,000 children a year); Chatterbooks reading groups, http://www.groupthing.org/ – a teenage reading website, and a new publisher/library partnership scheme called Children’s Reading Partners. Ros Bartlett is Assistant Head at The Earls High School, Halesowen, but as a volunteer, joined The Federation of Children’s Book Groups eleven years ago. Previously she acted as chair but in her current role she supports the work of 32 Children’s Book Groups all over the country, as well as encouraging new groups to be set up. All of Ros’s efforts have been concerned with encouraging young people’s enthusiasm for reading. She recognised that getting young people to read meant that you had to read to them, no matter the age, and it is this interaction which supports children on their reading journey. In 1998, with a small group of volunteers, Ros established the Dudley Children’s Book Group which aims to bring a whole community together, from children to grandparents, writers to librarians. Ros encapsulates the wonderful contribution that can be made by an individual and represents the work of thousands of other volunteers dedicated to the promotion of getting young people reading. thanks, sara ... but oh! i realized that the first video i posted of david fickling's speech was the wrong one! have corrected it now. they really are both worth watching. Kim: thanks Candy - really interesting. Sue: Excellent report, Candy and neat little camera you carry about - so discreet! Andrew: I'm embarassed that I've never heard of the award. Thanks for putting the spotlight on this. Candy Gourlay: thanks all ... sue - this was not the neat little flip camera i used for your video, it was my mobile phone! amazing what mobile phones can do now. Great to see David getting into his stride and it's an interesting idea - wonder if anything will come of it? What a brilliant idea to get the people who make the profits from best-sellers to contribute some of that money. I've worked in Adult Literacy for 30 years, and still so many young people are leaving school without ever having enjoyed reading a book. Great post - bringing into focus all that the Eleanor Farjeon Award stands for. And David's idea is a revolutionary one but it really needs one of the super best selling authors or corporations to take it to the next stage.